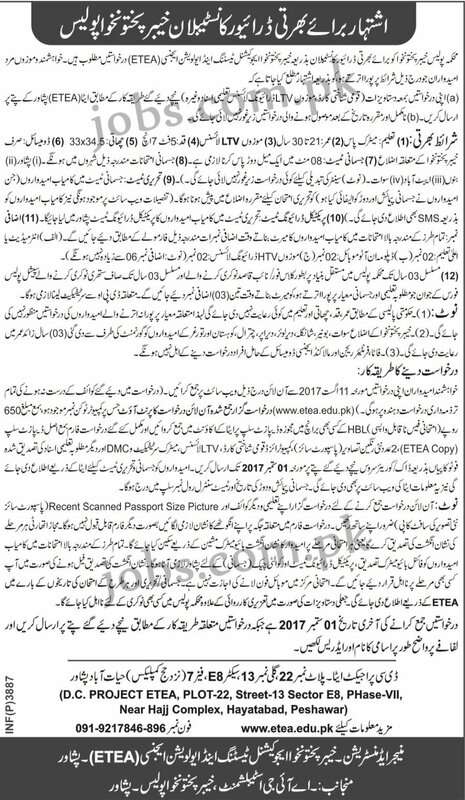 KP Police Jobs 2017: The Police Department is inviting applications from eligible candidates for Driver Constables vacancies in Khyber Pakhtunkhwa. KP Educational Testing and Evaluation Agency (ETEA) is conducting the screening/recruitment test. You can download required application form available at the ETEA website or see below for options. Below are all qualification, physical measurement and requirements for eligibility of interested candidates. Eligible candidates must submit applications on or before 1st September 2017.